Long Island Divorce Lawyer | Petroske Riezenman & Meyers, P.C. Divorce is a life-changing event, and one that should not be taken lightly or without the consultation of an experienced divorce attorney. There is much at stake during a divorce, and the outcome will likely shape your future for years to come. From asset division to child custody decisions, your divorce should be handled by a professional Long Island divorce attorney who will listen to your concerns and fight for your rights. If you are going through a divorce in New York, you are certainly not alone. According to the most recent U.S. government data, between 35 percent and 48 percent of all American marriages end in separation. As common as divorce is in New York, it is never easy on the parties involved. Not only can divorce take a serious emotional toll on a family, there are many difficult logistical issues that must be resolved before you can move forward with your life. At this time, it is crucial that you have strong legal protection. At Petroske Riezenman & Meyers, P.C., our Long Island divorce attorneys have more than 60 years of combined experience handling family law cases in New York. We are here to help you through this trying time and will see to it that your best interests are strongly represented. If you are getting divorced in Long Island, please do not hesitate to contact our legal team for a free, fully confidential initial family law consultation. New York law recognizes two types of property: marital and separate. Marital property includes virtually everything that was obtained during the duration of the marriage, such as real estate, cars, furniture, 401Ks, bank accounts, and more. Separate property includes each party’s personal property that they owned before the marriage. Separate property can become marital property in some cases. For example, if one spouse bought a condominium the year before the marriage, and during the 10-year-long marriage mortgage payments were being made, it becomes more complicated as at least part of that condominium becomes marital property. Furthermore, you need to be sure that your spouse has not hidden their assets by lying on their Statement of Net Worth–a sworn financial statement that details their income, expenses, assets, property, and debts, according to the New York Courts. Our expert divorce attorneys in Long Island can help you with this process. Under New York’s family law code (DRL §170.7), married couples have the right to obtain a ‘no-fault’ divorce. With this type of divorce, neither party need be legally ‘blamed’ for the end of the marriage. Instead, a divorcing couple must simply meet the state’s residency requirement and prove that their marriage is ‘irretrievably broken’, something that our divorce lawyers in Long Island can help you with. While no-fault divorce offers a number of benefits and it can make the process much more efficient, it is not necessarily easy. While fault may not be a contested issue, there are many other things that will still need to be resolved. Among others, this includes property distribution, division of debt, spousal support/spousal maintenance, and, if the couple has young children, child custody/visitation, and child support obligations. If you are seeking a no-fault divorce, you should be represented by an experienced Long Island divorce attorney. The commission of an adulterous act. To get a finding of fault in your divorce case, you must be able to present compelling evidence that supports the nature of your claim. In these types of cases, it is crucial that you get an aggressive Long Island divorce lawyer by your side as early as possible. In some cases, a marriage can be annulled. Whereas divorce ends a marriage, an annulment nullifies a marriage. The end result is the same (the marriage ends) but the process and implications can be different. With an annulment, it is essentially as if the marriage never happened in the first place. To obtain an annulment, your marriage must meet certain strict criteria. Only a limited number of Long Island couples are eligible to get their marriage annulled. Though, if you are eligible and you are ending your marriage, an annulment may offer certain benefits. In a contested divorce, the spouses are unable to reach a settlement on one or more of the core issues in their case. As a result, they will need to take their case to court in order to have it adjudicated by a family law judge. In an uncontested divorce, the parties have been able to reach a settlement on all relevant issues. They will be able to terminate their marriage without the need for a trial. Generally, an uncontested divorce is desired. This is also sometimes known as a ‘simple divorce’ and it can be far faster (and cheaper) than a contested divorce. Preparing the Complaint: You may need to file a divorce complaint. If you are the one a seeking divorce, your complaint is essentially your motion to obtain the separation. In some cases, divorcing couples can work collaboratively through this stage of the process. Though, you may need to file a complaint on your own. If so, it is crucial that you take the time to prepare a proper divorce complaint. This document establishes the entire legal foundation for your claim. You need to get it done the right way. Getting Your Documents in Order: One of the keys to obtaining a successful divorce settlement/judgment is proper preparation. When it comes to divorce, you need to get your documents and records in order as early on in the process as possible. This starts with financial documents and records. Though, it could include other evidence as well, including evidence related to parenting ability or misconduct on the part of your former partner. Regardless, your Long Island divorce lawyer can help you put your case in order. Serving Divorce Papers: After you file a divorce petition in New York, you are legally obligated to serve divorce papers on your spouse. In many cases, this is a relatively easy step. However, there are also certainly Long Island divorces where one spouse tries to dodge the service of your papers or just makes things difficult on their partner. No matter the circumstances, you should always comply with New York state law regarding service of documents. Responding the Answer/Counterclaim: If you filed a divorce petition and served papers on your partner, they will have the opportunity to file an ‘answer’ and/or a ‘counterclaim’. Likewise, if divorce papers were served on you, you can and should file an answer/counterclaim. Ignoring divorce papers is always a bad idea. If you are going through a divorce in Long Island, you need to be proactive. Get help from an experienced family law advocate. Once the complaint and answer/counterclaim has been filed with the court, the divorce case will be on the path to litigation. This does not mean that your case will go to trial. Quite the contrary; most divorces in Long Island avoid trial. There is still ample time for you and your partner to reach a fair settlement. Your divorce lawyer can help you facilitate negotiation, while vigorously protecting your parental rights and financial interests. Any history of violence or abuse. Five or more Children: A minimum of thirty five percent of gross income. There are cases in which it is appropriate to deviate from the child support guidelines. If there are special circumstances in your case that warrant such a result, such as a child’s disability or health status, you need to take proactive steps to ensure that your legal rights and financial interests are protected. A Long Island divorce lawyer with experience handling child support and child custody issues can help. Depending on the specific nature of your case, child support may be awarded at a level that is less than or greater than the general guidelines. Advocate for your family law rights through litigation. We are committed to getting you the best results for yourself, your children, and your family. In some cases, collaborative negotiation is the best way to move forward in a fair manner to preserve vital family relationships. 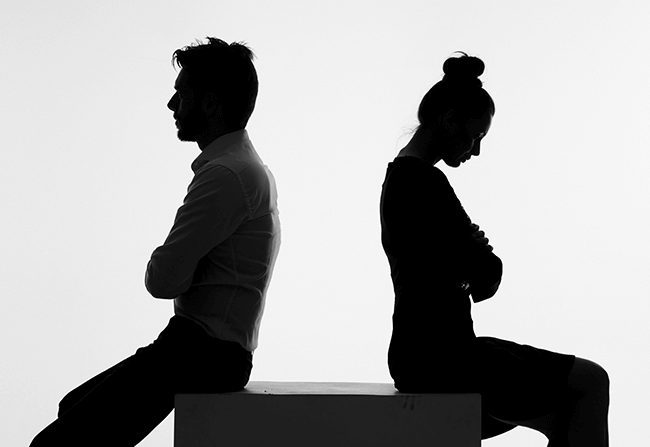 In other cases, our Long Island divorce attorneys fight aggressively on behalf of our clients, making sure that their rights and interests are fully protected from a former partner who is making entirely unreasonable or unfair demands. Alimony is now called either spousal support or maintenance. Spousal support is financial support given the to the spouse with a lower income and is usually awarded to help the lower earning spouse live the type of life that they grew accustomed to during the marriage. It is usually temporary but can exist indefinitely as well. Maintenance is a financial award that is given to provide for educational or vocational training purposes, temporary support to help get the other party back on their feet, or indefinite support until either of the parties dies. Divorce is especially hard on married couples that have children. Custody and/or visitation rights must be determined, as well as child support if one parent becomes the sole custodial parent. We assist our clients with custody matters such as gathering evidence of their strong parenting qualities and showing the court that their emotional and physical support of their child is in the child’s best interests. We assist custodial and noncustodial parents with child support as well. Petroske Riezenman & Meyers is pleased to offer the Petroske Riezenman & Meyers Divorce Scholarship. The scholarship is open nationwide to those who will be attending college during the Spring semester of 2020. Special consideration will be given to an undergraduate who is interested in pursuing a career in law, but anyone meeting the requirements who can demonstrate an interest in pursuing a career in law will be considered. This award will be presented to current college students, but high school seniors who will be attending school in the Spring semester of 2020 are also welcome to apply. The award will be presented to a college student who is enrolled by the Spring semester of 2020 but who will not have graduated by the autumn semester of 2020 and is still attending courses at this time. This will be a one-time award. The scholarship will be judged on merit. academic achievements, as well as any leadership experiences. This scholarship is judged & awarded primarily on merit. Completed application must be submitted online by Dec 31, 2019. LATE APPLICATIONS WILL NOT BE CONSIDERED. The applicant must plan to attend college by spring semester 2020 or already be attending . Must have a minimum G.P.A. of 3.0 for High School applicants, or maintaining a 3.0 G.P.A for College applicants. The applicant must submit an un-opened copy of official transcripts if selected as a finalist. This scholarship is a one-time award worth $1000 to be awarded the spring semester of 2020. Special consideration will be given to applicants who have been affected by divorce and who have had experience with family law in their personal lives and families.